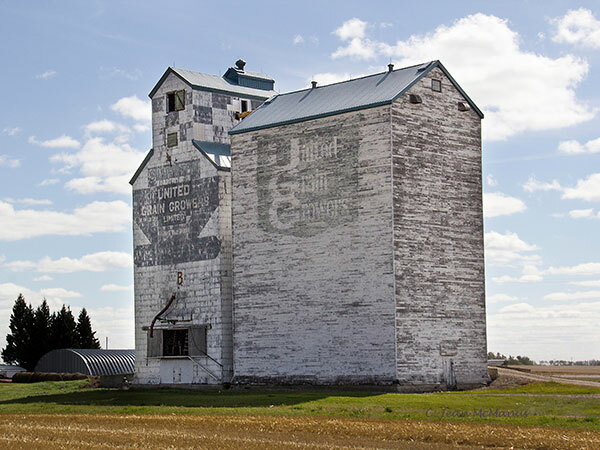 A “ghost sign” is readily apparent in this former United Grain Growers elevator at Silverton, on the CNR Rossburn Subdivision in the Rural Municipality of Riding Mountain West. 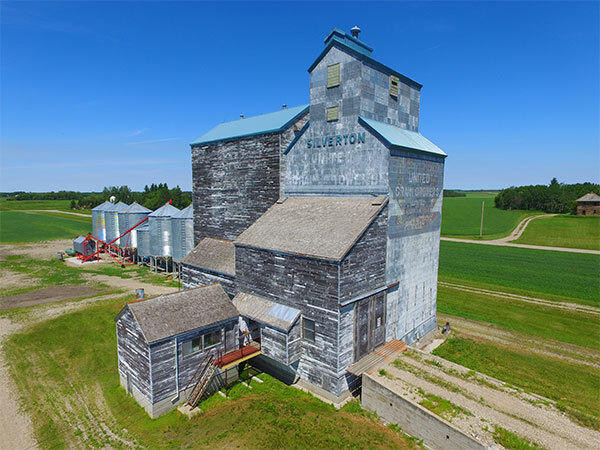 Built around 1918 by the British America Elevator Company and acquired by National Grain in 1940, the 34,000-bushel elevator was sold to UGG six years later. 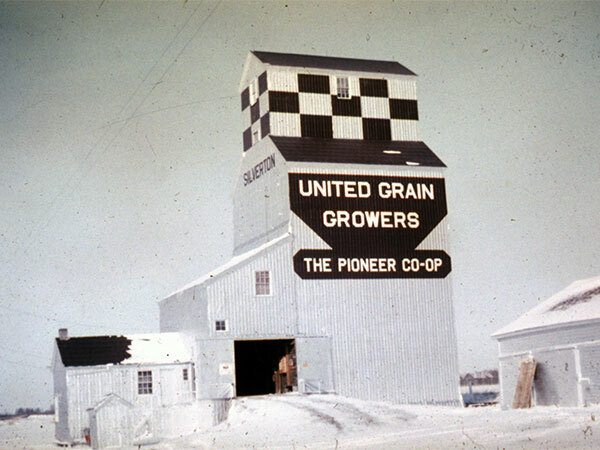 An older UGG elevator was torn down in 1963 and this elevator was moved to its site, a 65,000-bushel crib annex was built beside it, and the plant was modernized. A new white-and-blue paint job covered over the former UGG graphic and checkerboard pattern, which has been slowly revealed as the newer paint flakes off. 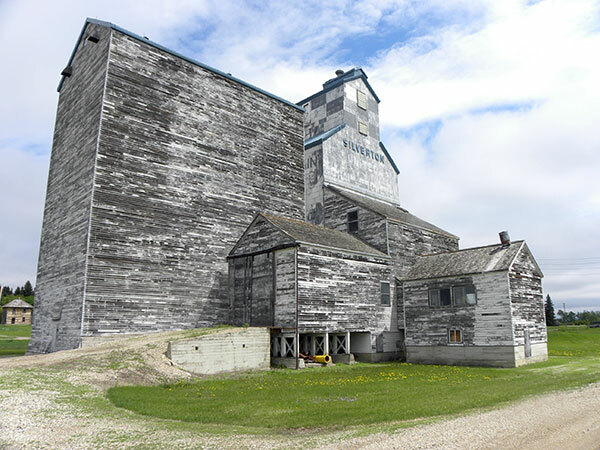 Traded to Manitoba Pool in 1974, it was closed on 31 December 1990 and is in private hands now. It is no longer serviced by a railway line and appears to be unused. 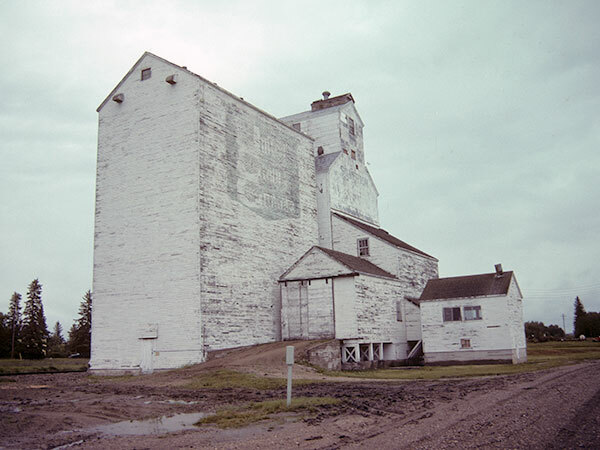 Source: Historic Resources Branch, Grain Elevator Inventory, slide 2046. 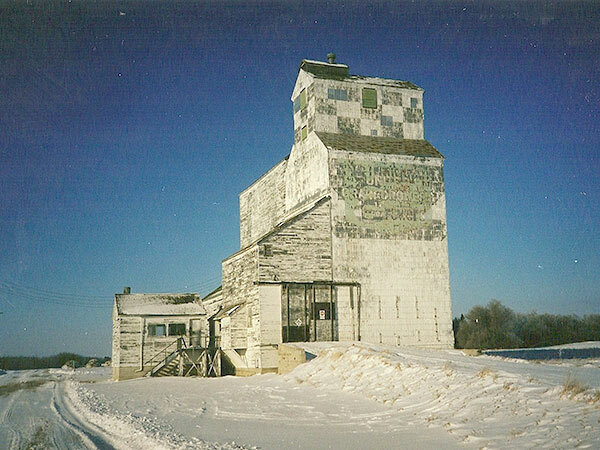 “Silverton elevator to close,” Russell Banner, 3 April 1990, page 2A. This page was prepared by Gordon Goldsborough, Mike Lisowski, Jean McManus, and Bernadine Brown.